Liaoning International Economic & Technical Cooperation Group Trading Corp.Ltd.. Supplier from China. View Company. Liaoning International Economic & Technical Cooperation Group Trading Corp.Ltd. More Items Similiar to: Liaoning International Economic & Technical Cooperation Group Trading Corp.Ltd. Sodium humate is a high-molecular non-uniform hydroxyl carboxylic acid of aromatic series, in black particles or powders, soluble in water, alkaline, containing mutiple active groups including hydroxyl group, carboxyl group, potassium-oxygen-base and quinonyl. 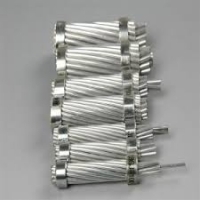 It has the function of ion exchange, adsorption, comlexation, flocculation, decentralization and adhesive bonding. This products can be used as plant growth stimulin, animal feed additive, ceramic pug additive, petroleum frilling fluid decreasing and filtering agent, boiler anti-scaling agent and water quality stabilizer, ore dressing agent, cementing agent for pulverized coal shaping, fruit trees rotting disease medicament, antiphlogistic and hemostatic medicines, and for incubation of feed yeast. Application scope: 1. Application in agriculture: (1)used as chelate reagent and main raw material of organic fertilizers (2)used as plant growth stimulin (3)used as water-retaining agent for fighting frought (4)used as soil conditioner (5)prevent corrision of plant fruits (6)used as additives for animal feed 2. Industrial application (1)additives for ceramic pug (2)used as boiler antiscaling compositon and water quality stablizer (3)other applications Ha-na also has apparent effects if it is applied in ore dressing agent, cementing agent for pulverized coal shaping, foundry modeling sand bresking agent, fruit trees rotting disease medicament and antiphlogistic and heostatic medicines. 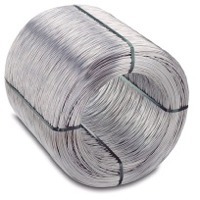 25kg/50kg net plastic bag with pvc lining. 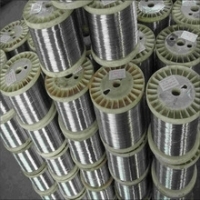 Electro galvanized wire BWG20 , wire diameter: 0.93-0.95 mm.